PRECO depends on lineworkers to keep the power on. Please join us as we commend the hard-working employees who put their lives on the line every day for our members. Line work is recognized as one of the top 10 most dangerous jobs in the U.S. Even with safety measures in place, lineworkers still face risks working with high voltages and at heights. Lineworkers must learn the specifics of electrical theory. They are required to learn how to climb poles safely and work with extremely high voltages. Lineworkers continually put these lessons to work daily. Despite adverse weather conditions, lineworkers remain committed to keeping the power on. They make repairs following hurricanes and other severe storms when communities depend on power the most. Lineworkers spend long hours hauling heavy gear and pulling thick cable and wire. All lineworkers possess a strength, both mental and physical, necessary for success. Our lineworkers perpetually train to keep up with changes in best practices in the industry. Periodically, our lineworkers participate in pole top rescue exercises—where each man must climb a pole and “rescue” a practice dummy—to demonstrate they have the skills to save a coworker’s life in the event of an emergency. Practicing safety is always a priority for those working near high-voltage equipment. Cutting corners can be deadly. Our lineworkers look out for themselves, their fellow employees and the community. The work is demanding and the hours are long but lineworkers are just as devoted to their families and communities as they are to their careers. It’s not always easy but looking back at the end of each day with pride makes it all worth it. 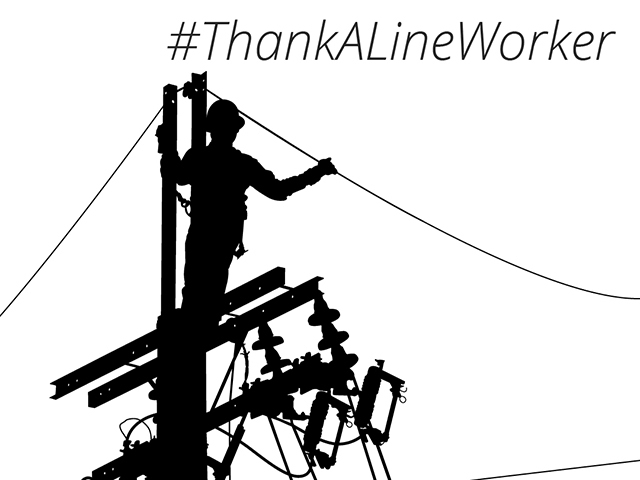 Thank a lineworker. With their help, PRECO is always looking out for you.